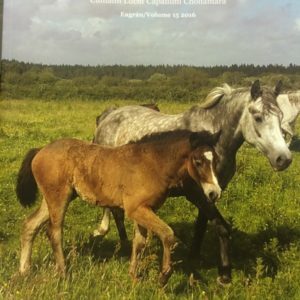 The Connemara Pony Breeders’ Spring Weekend is a special time in the Society’s busy calendar year. 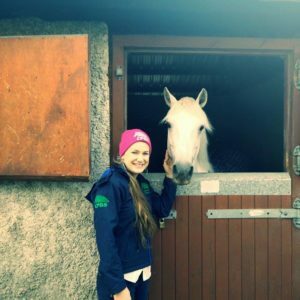 Last Saturday was the final day of the colt inspections, at which over three days, more than 50 Connemara ponies were presented at centres around the country, with a total of 10 receiving Class 1 stallion status. Twelve international delegates attended an educational seminar on breed type and linear profiling on the Saturday morning. This took place in Ring 1 at the Showgrounds and was a very successful occasion. It is hoped that it will be followed up with further sessions to cement the links with our daughter societies. 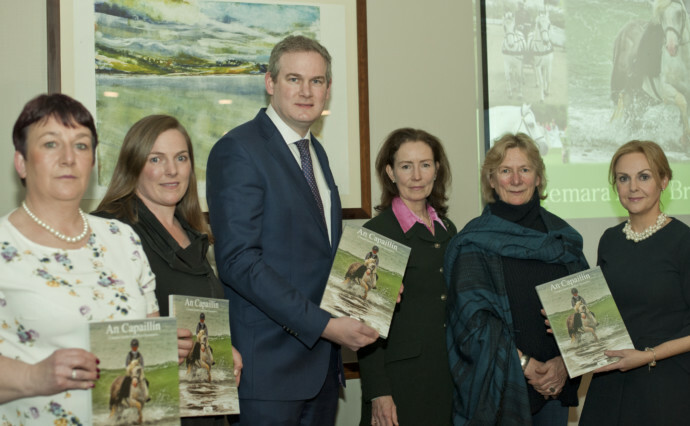 On Saturday evening the Society was delighted to welcome Minister Sean Kyne TD to launch the eighteenth edition of An Capaillin. Produced annually the magazine records the activities of the Society as well as those of their daughter societies, of which there are no less than seventeen spread throughout the world. 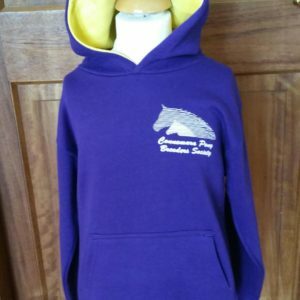 The contribution of the daughter societies is hugely appreciated as they play an important part in maintaining the bloodlines and quality of the Connemara pony overseas, a native pony very much in demand and exported all over the world from the sales in Clifden. 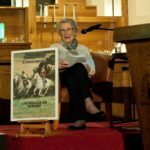 The annual Bartley O’Sullivan lecture was delivered later that evening by Mrs Elizabeth Petch, breeder and author, when she shared some of her fifty years of pony experiences with an entranced audience, and illustrated it with many nostalgic photographs from an almost forgotten era. On Sunday, the prestigious Stallion Parade took place at the Showgrounds where there were over 20 stallions on view, all immaculately turned out. 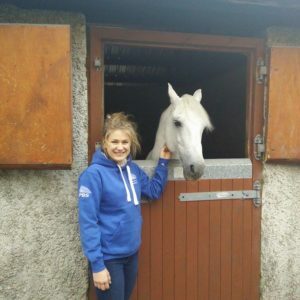 This year, the last surviving Society stallion, Blue Smokie, at the grand age of 27, was applauded enthusiastically by the crowd in the spring sunshine, and he was presented with a special award to honour his services to the Society. Special awards were also presented to the two stallions Cashelbay Rocket and Banks Timber for their outstanding achievements in the past year, winning at HOYS and at Olympia respectively. 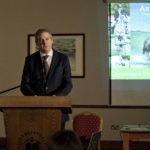 It was with great regret that the Society had to postpone the planned unveiling of the Stallion Custodian Plaque, a tribute that had been intended to honour the great people who had played such a major part in maintaining the pedigree of the pony since 1923, the year which marked the beginning of the Connemara pony’s regulation. It is hoped that it will be possible to acknowledge these, so far, unsung heroes permanently at a later date. The Society would like to thank the large crowd who supported all the activities over the weekend and also the hardworking committees of the Society. Without this encouragement, events such as these could not happen.